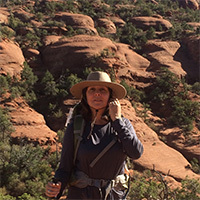 Deborah Taffa was chosen Desert Writers Award recipient by the Ellen Meloy Fund for Desert Writers. ... Sandra Kunz was appointed to the Oklahoma Commission by the governor and confirmed by the Senate. ... Marva Robinson was nominated regional representative for the national board of directors of The Association of Black Psychologists. ... Zlatko Cosic had films screened at multiple festivals in Italy and the U.K. this month. Michael Erickson's "Honor Student" opens this weekend, directed by alumnus Taylor Gruenloh. ... Van McElwee's "Objects In A Landscape" was screened at the National Gallery of Art this month, while "Flag And Its Shadow" opened in Los Angeles. ... Several Zlatko Cosic films are screening this month in St. Louis and in June at the OtherMovie Lugano Film Festival in Switzerland. ... Rick Rockwell gave two presentations at the Latin American Studies Association conference in Lima, Peru. Michael Erickson, professor and playwright in the English Department of the College of Arts & Scienes, will be in residence in Ashland, Oregon, after his play, "Oberon Springs," won the Ashland New Plays Festival contest. Another Erickson full-length play, "Honor Student," was selected for the Capital Repertory Theatre's four-day "NEXT ACT!" 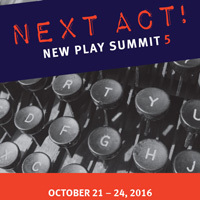 New Play Summit in New York. 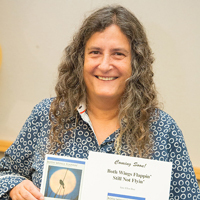 His one-act "Caveman's Rock" took second place in a science playwriting competition at Stony Brook SUNY.